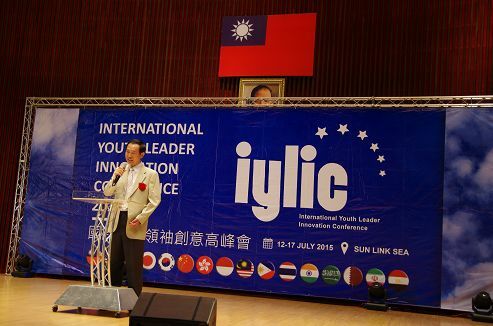 participate in IYLIC, which will be held from July 12 to 17, 2015 in Taiwan. Taiwan Invention & Innovation Industry Association. Digital media and creative marketing have become vital in our daily lives. industry experts to meet and exchange ideas. promising future for all of us. year’s contest. Please register as soon as possible! I look forward to seeing you at our event. length of 1-3m, individually. Should be prepared beforehand. a group with 4 persons. Should be prepared beforehand. Innovation seminars and physical classes. the period. Each group is required to bring one laptop and one flash disk. A. The Best of Executive & Management: Certificate of Merit. 2000/1000/500 USD for Top 3 winners. recommended by an IFIA member.